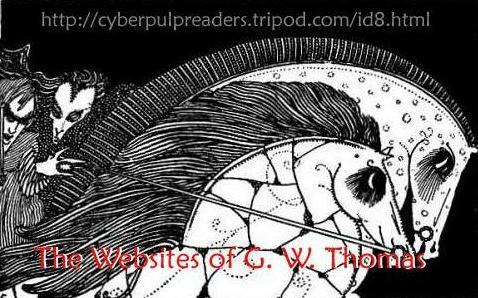 Backgrounder: G. W. Thomas, a writer and artist living in the Cariboo Region of British Columbia, granted me an interview last month. 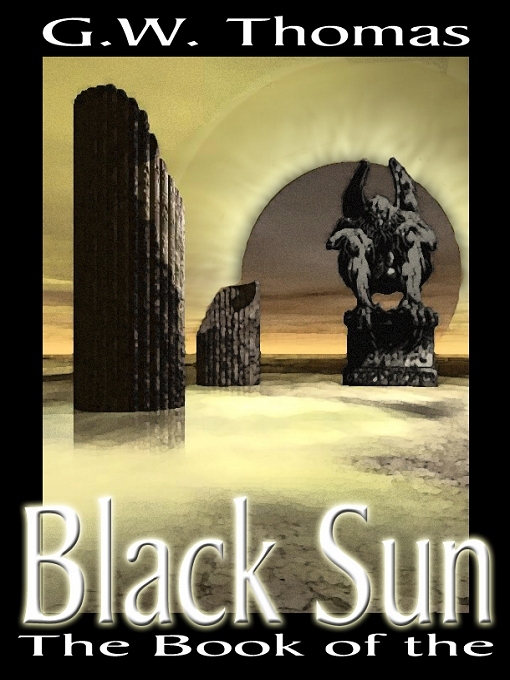 He has published over 300 pieces to 170 different books, magazines and newspapers including Writer's Digest, The Armchair Detective, Poet's Markets 2001, Gothic.Net and Black October Magazine. 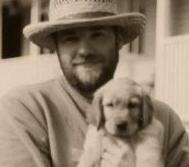 His fiction and poetry are largely in the horror and fantasy genres, though he won the Zine Guild Award for Best Science Fiction Flash Fiction in 1999. His non-fiction has explored the writing process, the history of mystery and horror writers and role-playing games. His art has appeared in magazines and chapbooks, including THE NIGHT THE LIGHTS WENT OUT IN ARKHAM for Undaunted Press. Cathy: Congratulations. You have a new short story collection titled Ghoultide Greetings, just in time for Christmas. Tell me a little something about the collection and the types of stories you've included. Gary: I’ve been writing an annual Christmas story since 1990. I was inspired by the Canadian writer, Robertson Davies, and his book HIGH SPIRITS. The tradition of writing ghost stories for the holidays starts with Dickens and is responsible for many of the classics of the Victorian ghost story school. Amelia B. Edwards, for instance, published most of her best in Dickens’ Christmas Numbers of ALL THE YEAR ROUND. (Fans wanting more on this can download my free ebook WINTER TALES from Double Dragon): http://www.double-dragon-ebooks.com/free.html It also contains one excerpt story from GHOULTIDE GREETINGS.) My favorite Christmas horror writer has to be M. R. James though. He is so nasty and yet so quiet. 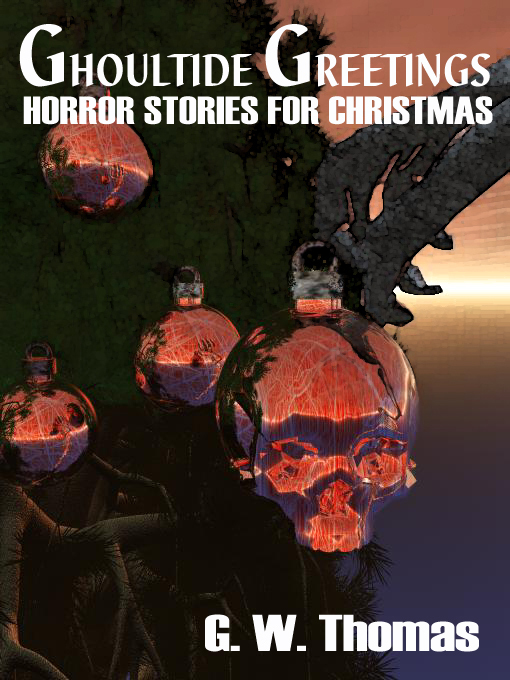 The full title of my book is GHOULTIDE GREETINGS: HORROR STORIES FOR CHRISTMAS. The traditional Christmas ghost story is represented but the majority of stories are better described as horror. If you’re expecting Dickens you may be surprised. Most are inspired by Christmas icons, like "On the Feast of Stephen" which features Good King Wenceles, killer Christmas trees, evil ornaments, vampire children, alien Santas that kind of thing. My favorite story in the collection is "Long Desired & Long Delayed," one of the few happy ones in the book. To say more would ruin the surprise. I have a list of over forty more titles I want to use so I’ll be writing Christmas stories for a few decades yet. Cathy: Tell me about the artist who designed your cover. Gary: The cover artist is actually done by my publisher, Deron Douglas. He has two degrees: Computer Science and Graphic Art. I am quite pleased with Deron’s work. He captured the creepy essence in a nice, subtle way. All DDP covers are available on T-shirts, mugs and mouse pads. (Guess what my friends are getting for Christmas?) As an artist I always enjoy seeing how others interpret my work. It’s risky when you are offered the chance to do it yourself and then decline. With Deron, I’m never disappointed. Cathy: What is the cover price of Ghoultide Greetings and how do readers go about ordering copies for Christmas stockings? Cathy: As a writer, what do you strive for in your fiction? Gary: I have never really seen myself as anything other than a pulp writer. I would have been quite happy to be published in WEIRD TALES and PLANET STORIES. What I write is simply what I would find entertaining. I guess if I strive for anything it is just to be a good storyteller. The trick is not to become a pasticher. I don’t want to regurgitate Lovecraft or Robert E. Howard as many have done before. They are springboards to something new. Cathy: I've enjoyed your work over the years - I was especially fond of your fairy tales for adults, published in your collection "The Rainbow Man." Want to share the details on where some of your current work can be found? Gary: The Rainbow Man started with a drawing. I drew a four armed wizard. I needed a model for the hands and since the right was doing the drawing, the left stood in. He had four left hands and an owlish-looking face. The character was so alluring to me as a reflection of myself that I had to find out more about him. I sculpted him in clay, then started writing short-short fantasy tales with him. He’s been my foil ever since. 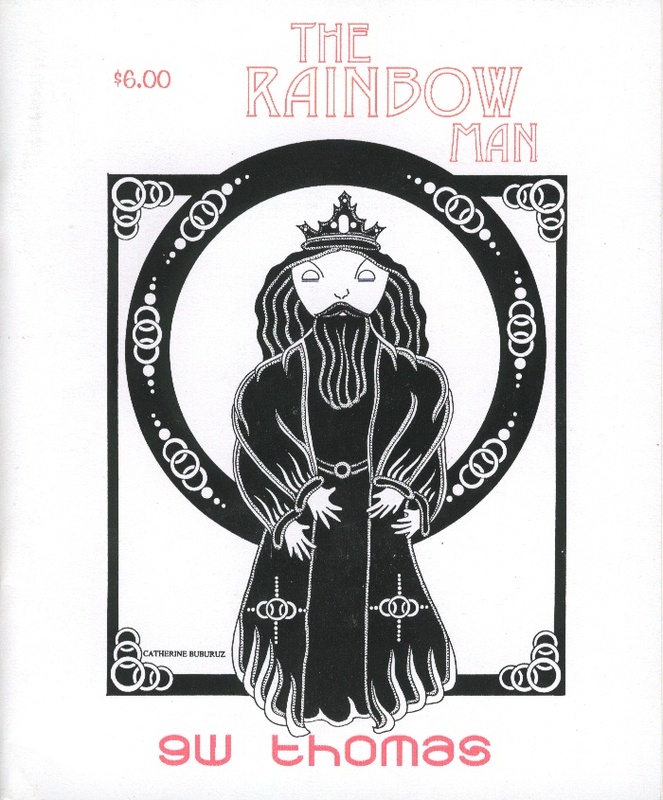 Currently the Rainbow Man is spread all over the Net and in magazines. There was a very small run chapbook back in the ‘90s but these are impossible to find now. (I remember the art being particularly interesting in that one.) I am planning a collection soon for Double Dragon Publishing called RAINBOW MAN which features all 50 or so stories plus other tales set in the same world. There is a second volume I want to publish alongside called TOREL THE GELT which features stories (and a short novel) about Torel, another character from my fantasy realm. People familiar with my horror writing may find my fantasy interesting too. I’m of the WEIRD TALES school of fantasy, so there is a bit of horror mixed in with the swordplay and monsters. Cathy: You also publish a daily email publication called FLASHSHOT. Why not share the details on how and why you started this unique form of free entertainment, and how to subscribe. 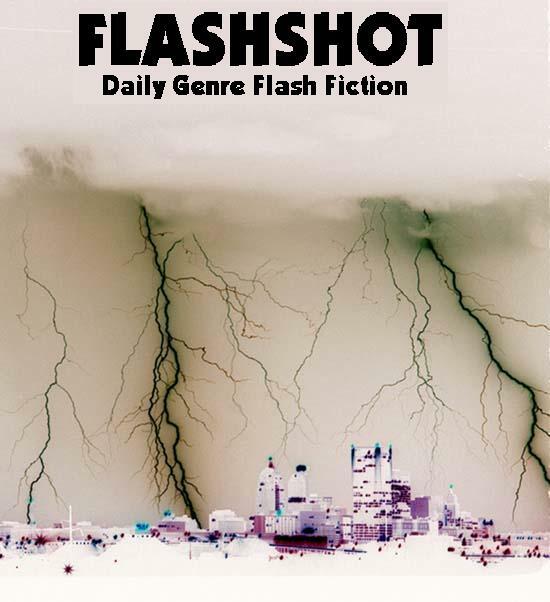 Gary: FLASHSHOT is daily genre flash fiction. The stories are about 100 words long, so they are easy to read on the computer. I’ve had quite a response from writers I admire like Ken Goldman, S. Joan Popek, Esther Schrader and lots of others. FLASHSHOT is just fun. Writers need to have fun, too. There’s no pay. People do it because they love micro-fiction. If it survives long enough I am planning a collection of some form. If you’d like to sign up for our daily emails, check out: http://flashshot.tripod.com My article "A Quick, Sharp Stroke" can be found there too, giving a mini-writing course on how to write micro-fiction. Cathy: Readers always like to know more about the writers they read. Where are you from and how do you spend your free time? Gary: I’m an Albertan by birth though I’ve lived in British Columbia most of my life. I think of myself as a Western Canadian. This is probably most reflected in my Torel the Gelt stories. He lives in the untamed wilderness north of the Six Cities in my fantasy realm. I grew up hunting, fishing and trapping. (A living Canuck cliché!) I had the wonderful luck to be surrounded by unusual relatives who inspired me to be different. My grandfather was a wood carver and my father a wood worker. It’s not surprising I started out as an artist rather than a writer. I always thought I’d end up a comic book artist. Free time? That sounds nice. What is it? I’m one of those people who doesn’t have hobbies because I’m so busy with all the things I love to do. If it’s not writing, it’s drawing. I just finished some work for DARK ANIMUS. I have a kiln, though it’s not set up yet, and that will take more time away from the Television. What little free time I have is spent with my family. We also bought a house last year and that’s work too. Cathy: As a writer, do you ever submit to foreign markets or do you submit only to editors and publishers in North America? Gary: I submit all over the world. (I have been published in English, Hebrew, Japanese, French and Italian.) I think that submitting to foreign markets can be a gold mine if you can find other countries that want your work as if it were unpublished. First North American Rights means just that. Selling on the Net is harder because you are dealing with World Rights, though I sell more online than anywhere else. I like the immediacy of email submission. It’s cheap, too. Cathy: Most writers are readers. Name a couple of writers whose work you admire and why? Gary: Four writers I highly recommend for their style and their content (in other words perennial favorites): Erle Stanley Gardner (not just Perry Mason), Robert E. Howard, Louis L’Amour, and George Simenon. Anyone wanting to learn a clean, commercially-salable style of storytelling should study these four. Cathy: New writers are always on the lookout for advice and hot tips. Do you have anything to offer? To what do you attribute your own success as writer? Gary: I’ll start with a recommended resource. Read Robertson Davies "On Reading and Writing." These two short essays are the best examination of why we write and how we read. Literally a revelation for me. The one thing that held me back the longest as a new writer was: never editing. If you’re starting out, learn to love editing. The computer saved me. If I still had to re-type stuff on typewriters, I’d have quit. Micro-fiction is excellent for developing this skill. When a story is 105 words long and you have to lose five of them, you really look long and hard at where and what you can do without. Learn to do many kinds of art. I never get "writer’s block" because I have so many different avenues. If a story isn’t going well, I can write poetry or draw pictures. The Rainbow Man came from a drawing. Most of my monsters get drawn too. My serial novel TO DRIVE THE COLD WINTER AWAY at Apocalypse Fiction is a good example of this kind of creature creation. (A few of the drawings can be seen there too.) From a promotional side, any artwork you make can be used as a prize for contests. Cathy: Do you have any special projects planned for 2003? Gary: More ebooks on the way: right now Danielle Naibert and I are collecting stories for THE GHOSTBREAKERS: NEW HORRORS. We’re looking for occult detective tales between 2000-10,000 wrds. I have a web site dedicated to occult detectives at http://occultdetective.tripod.com which I believe is the most thorough collection in the world (so far). The anthology will appear in Spring 2003 from Double Dragon. Fans of the ghostbusting characters can get two free ebooks from me called THE GHOSTBREAKERS: DARK BEGINNINGS and GHOSTBREAKERS: EVIL ENCOUNTERS which outline the origins of the genre. My history of the Ghostbreakers is also appearing in BLACK OCTOBER MAGAZINE. Just send me an email to genrenews@hotmail.com with "Free Ebooks" in the title. Cathy: Congratualtions and best wishes for the success of all your projects. It’ll be especially interesting to see your collaboration with William P. Robertson, whose work I’ve admired for more than a decade. Thanks, too, for sharing the news about Ghoultide Greetings and the writing life in general. More importantly, good luck with sales. Gary: Thanks, Cathy. It’s been a blast.